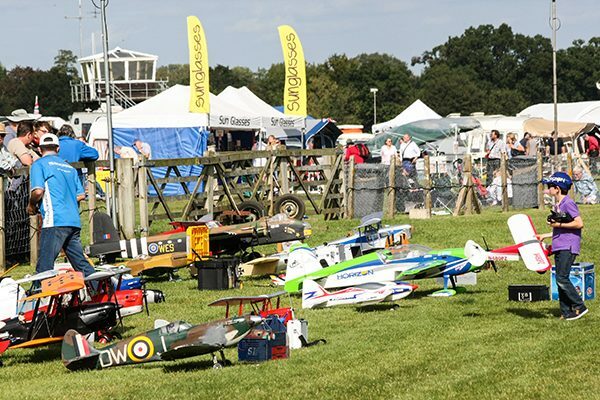 There is something for everyone at these model flying weekends, whether you are a pilot, spectator, aircraft enthusiast or photographer. 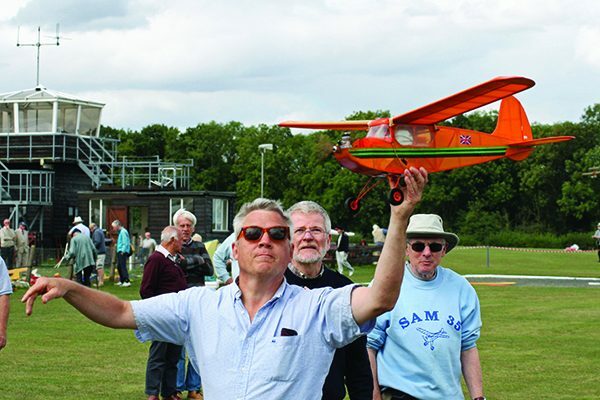 The ModelAir team has organised model flying meetings at Old Warden for the past 16 years. Model flying is once again firmly established at Old Warden and no other aeromodelling event or venue offers such a relaxed and informal atmosphere for pilots and spectators in all three disciplines. Please note that the price of entry has been increased by Shuttleworth Management for 2019. Entry is now £13 per adult per day. If you bring proof of current membership of the SVAS, entry is £8 per day. Under 16 free. From 2015, ModelAir Event Organisers Ken and Sheila Sheppard are solely responsible for the organisation of these events. This is following the well-earned retirement of Mike & Joan Reynolds from the ModelAir Team at the end of 2014. Please direct all trade enquiries including car boot, and camping enquiries to Sheila; and pilot and competition queries to Ken, and not to Mike and Joan. See contacts for more information.